Do you want to lose weight and gain muscle from the comfort of your own home? Then FitFusion VideoFitness is the right fit for you! Fit Fusion one is a service providing 250 fitness videos online for $9.99 a month. It is perfect for both extreme and casual fitness enthusiasts. Sign up today and receive a FREE one month membership to FitFusion.com. Have access to all the videos 24/7, so you can work out when it is convenient for you! VideoFitness is the alternative to expensive gym memberships. To redeem your one month free membership, click here and enter coupon code: FITFUSIONONE. You can sign up for a free consultation with a Nordstrom Personal Stylist and Nordstrom Gifts through the remainder of this year. That’s right. Both offers from Nordstrom are completely free. 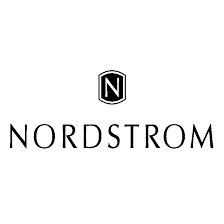 Click here to sign up for your very own free Nordstrom personal stylist. You can set up appointments and customize each appointment to fit your styling needs. After you book the appointment on the website, your Personal Stylist will contact you within 24 hours to learn about your specific needs and goals. You can also qualify for a free gift through Nordstrom when you purchase Estee Lauder, Clarins, Baxter of California, or Dolce & Gabbana items. You must purchase makeup or perfume through the Nordstrom site to receive these free gift deals. For example, you could receive a deluxe mini Dolce Eau de Parfum (0.16 oz.) with any Dolce & Gabbana Dolce fragrance online purchase using this offer. This isn’t junk either. These gifts are pretty nice items. Check them out here. This week, the Coupons.com Offer of the Week is for $0.50 off two bags of Chex Mix. Just head over to Coupons.com and start clipping the coupons today. This Chex Mix deal is great for the holidays and your snack mixes. You also can get a great coupon on Helper Skillet Dishes. The second Offer of the Week allows you to take $0.75 off any three boxes Helper Skillet Dishes when you clip the coupon. When you sign up for the Castro email newsletter today you will receive a 20% off online coupon code delivered straight to your inbox. This deal is only open to 500 people per day. If you are locked out of the deal today, just log in first thing tomorrow morning to get your freebie. Castro is a global delivery service that also offers free shipping on any order over $100. Between now and January 22nd, you can order Customized Coffee Mugs with this York Photo Coupon for only $1! All you have to do is use the code MUG to receive your $1 deal. The custom mug costs you $1, but must pay the shipping and handling costs. This is a great deal for those holiday photos that you don’t want to forget! And, even with s&h, this is a pretty cool deal for a completely customized holiday mug. Costco offers great freebies for members all year round. 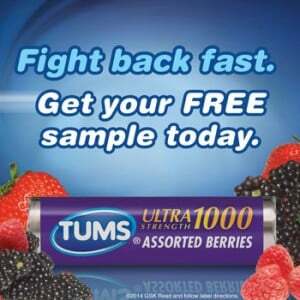 Right now, you can stop in at the website to get your own Costco free samples of TUMS Ultra Maximum Strength Chewable Tablets. Make sure you bring in your member number. Just head over to the site and click the “Get a Sample” button. Then, enter your membership number and your sample will be on the way! Attention: I want to thank Angela Dean from our Facebook Sample Stuff group for tipping me off to this trick with Costco. You don’t have to own a legitimate membership to Costco. Any sequence of numbers works as long as it is the correct length of numbers! For a limited time, you can pick up a free full size BareMinerals foundation from Nordstrom when you purchase $25 or more of other BareMinerals products. 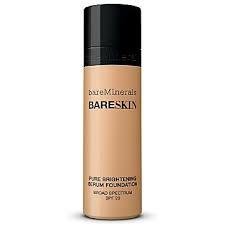 When you use the coupon code SAND at the Nordstrom site, your purchase will enable you to pick up a free bottle of BareSkin Pure Brightening Serum Foundation (0.1 oz.) for free. 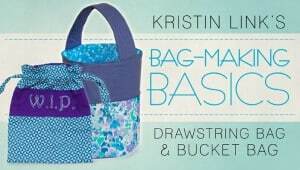 This deal is limited and will expire when supplies run out. 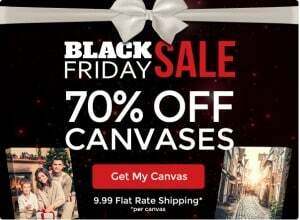 So, hurry and take advantage of this one while supplies last!